In my Running posts, I share my journey and adventures as a new long distance runner. Until a few years ago I hadn’t run more than a mile or two and that was about 16 years earlier in high school gym class when I hated every second of it. After having my third child in the spring of 2012 I was looking for a new way to get back in shape. I was sick of using my elliptical machine in my hot, damp, garage, staring at my husband’s tool belt on a messy shelf full of dead spiders. So one day I literally ran out the door. The next spring I ran my first race, the Chagrin Falls Blossom Time run (5.25 miles), then proceeded to run a couple of 10Ks before running my first half-marathon in the fall of 2013. I’ve done five more since then. In 2014 I traveled to California to run in the Big Sur Marathon where I completed about 16 miles for our husband-wife relay team. It was so fabulous that I returned in April of 2015 when I ran my first marathon. 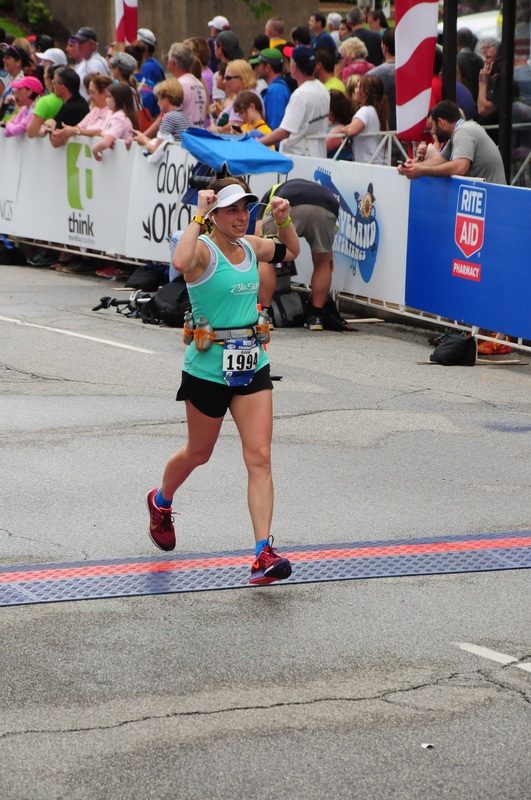 Three weeks later I ran the Cleveland Marathon where I improved my time by 41 minutes finishing in 4:06. I am now training for the Chicago Marathon in October 2015 where I hope to finish in under four hours. Here’s my training plan. On this blog I share my training plans and tips for beginners and intermediate runners. I talk about how I overcome hurdles and challenges and I provide motivation and inspiration. I’ll tell you about my favorite gear and I’ll show you my favorite routes and the sights I see along the way. I’m not a trainer and I’m no expert, but I have managed to lose 50 pounds, get in the best shape of my life and discover a new found love and talent. If you want some advice and inspiration from a fellow mom who accomplishes this during nap time or while the kids are bouncing around the room, then I’d love to help you do the same.